The Nahua concept of ixiptla derives from the particle xip, meaning “skin,” coverage or shell. A natural outer layer of tissue that covers the body of a person or animal, the skin can be separated from the body to produce garments, containers for holding liquids or parchment as a writing surface. Originally a Nahua word, ixiptla has been understood as image, delegate, character, and representative. Ixiptla could be a container, but also could be the actualization of power infused into an object or person. In Nahua culture, it took the form of a statue, a vision, or a victim who turned into a god destined to be sacrificed. Without having to visually appear the same, multiple ixiptlas of the same god could exist simultaneously. The distinction between essence and material, and between original and copy vanishes. 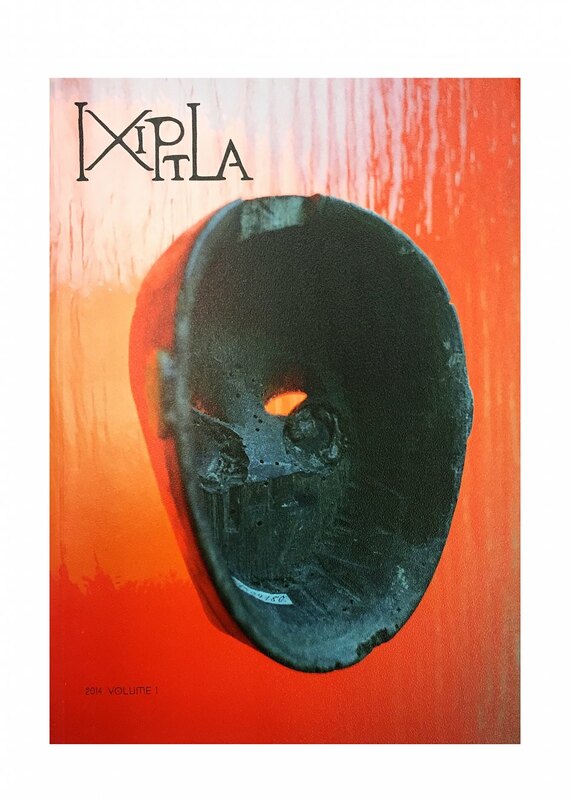 This edition of Ixiptla is focused on the trajectory of objects collected and produced by archeologists – plaster molds, facsimiles, drawings, photographs, and scale models –, in an attempt to capture and replicate material evidences left by time; these objects emerge from a specific moment in time, producing a doppelgänger of the original milieu, which then takes its own course. For this first issue, a group of anthropologists, archaeologists, artists, and writers have been invited to reflect on the role of the model, the copy, and reproduction in their areas of research and practice. Ixiptla is a new biannual journal about trajectories of Anthropology, it has been initiated by the artist Mariana Castillo Deball. The first issue is published on the occasion of Expedite Expression, 8th Berlin Biennale for Contemporary Art, Berlin, 2014. Designed by Mariana Castillo Deball.